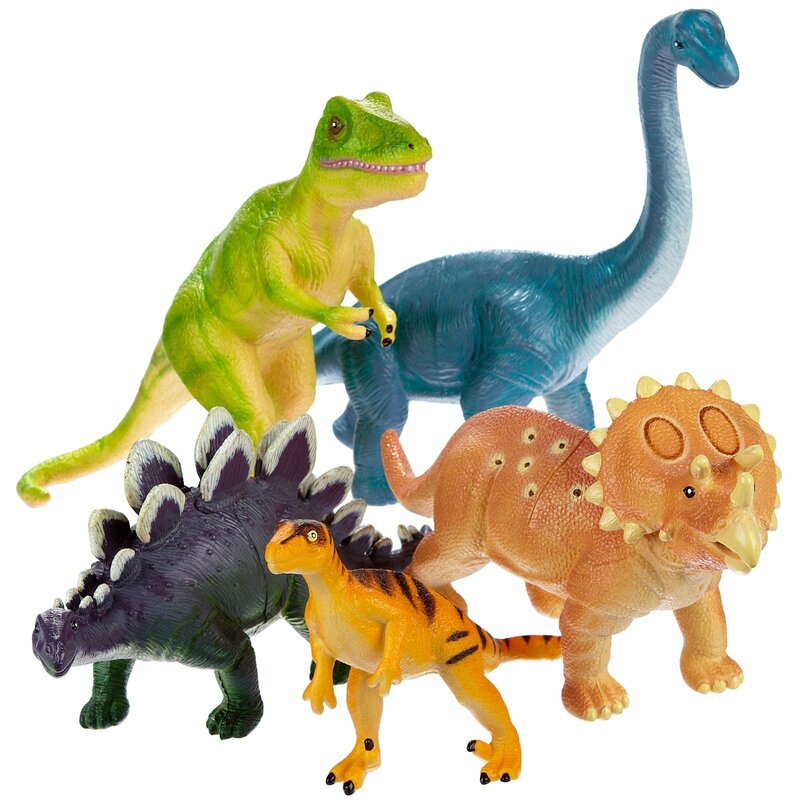 This is a big box of big dinosaurs, which serve as sort of a Dinosaur Starter Pack: brachiosaurus, stegosaurus, triceratops, raptor and T-rex. They are lightweight and made of durable, dishwasher-safe plastic. Each are about 12-14″ long or tall. Tags: Brachiosaurus, jumbo, pack, raptor, set, Stegosaurus, Triceratops.